There’s no better way to celebrate a special occasion in a man’s life than with the gift of a ring. 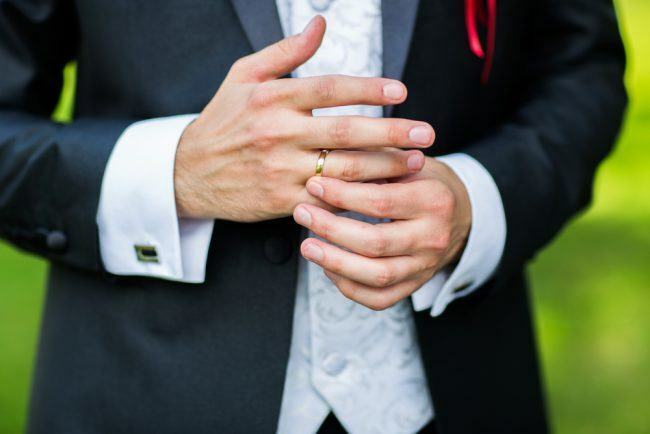 Luckily, there are dozens of options to choose from when it comes to picking the perfect ring, whether it be for yourself or the man in your life. Use this style guide to help you find the perfect match! Modern men aren’t afraid to follow the trends and indulge in a little flash, which is why this Channel Diamond Ring is perfect for these men. Many men’s diamond rings contain solitaire stones, but this band contains an entire row of diamonds to stand out from the crowd. 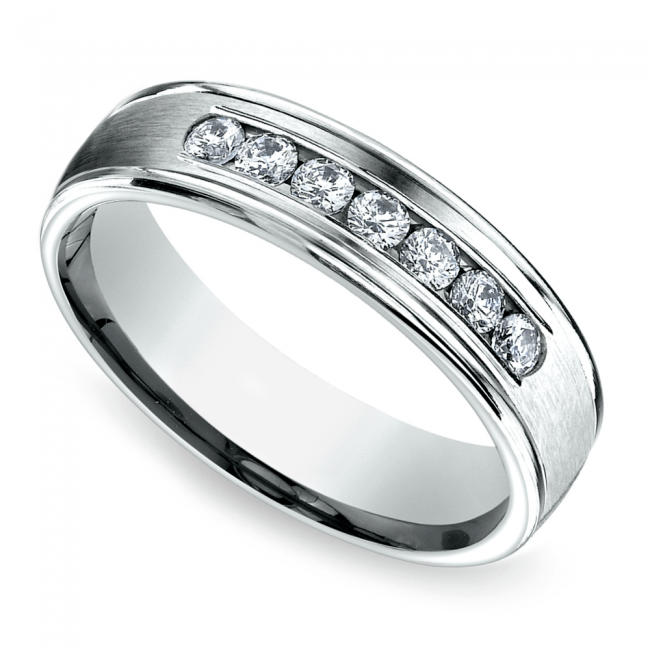 The satin finish on the band is classy and understated with the added effect of making the diamonds pop. Choose this style for an engagement, wedding or surprise “I love you” gift from the heart. Not the kind of guy who plays it safe? Then you’ll love this Hyperion Solitaire Ring that features a sparkling solitaire diamond in a raised channel setting. This unique ring is perfect for celebrating an engagement, wedding, or anniversary with flair. This ring is ideal for the man who loves to set trends instead of follow them and prides himself on being a true original. Slip this on your finger and imagine the diamond represents your partner’s eternal love and appreciation of your bold, daring style! Do you appreciate the classics? 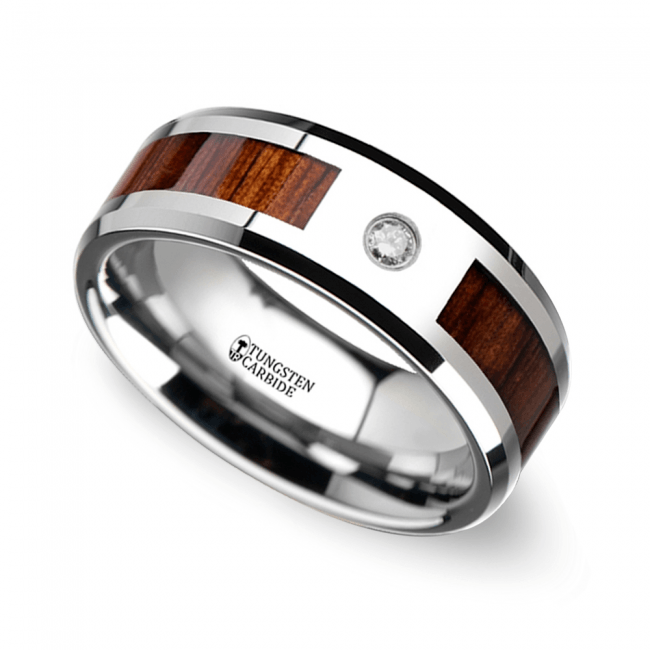 If so, this Beveled Ring with Koa Wood Inlay was designed for you. The Koa wood inlay gives this ring a retro vibe which is perfectly balanced by the shiny finish of the tungsten edges. Together, these two materials represent today’s trends while still giving a nod to the classic designs of the past. Because this ring is so versatile, it can be gifted for any occasion, from birthdays and anniversaries to weddings and vow renewals. This ring may be brand new, but it could pass as an antique men’s ring or family heirloom because of its timeless appearance, or maybe just become one. Do you love fast cars and new technological gadgets? 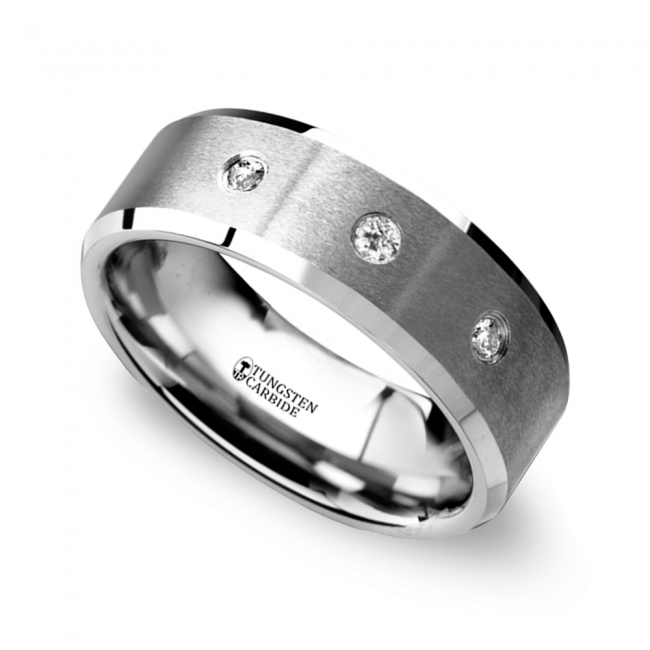 You just may be the sleek and sophisticated man who will love this Satin Beveled Men’s Diamond Ring. Men don’t want to worry about scratching or damaging their rings, which is why this tungsten ring is perfect for everyday use. Tungsten is resistant to scratches and never loses its shine, so the sleek and sophisticated man can wear this for eternity without worrying about what it will look like down the road. The type of man who can wear this Grooved Edge Men’s Diamond Ring is confident and self-assured. Although this is a bit flashier than other men’s diamond rings, it complements the luxurious and rich style of the corner office man who appreciates the intricate detailing and unique materials of the ring. 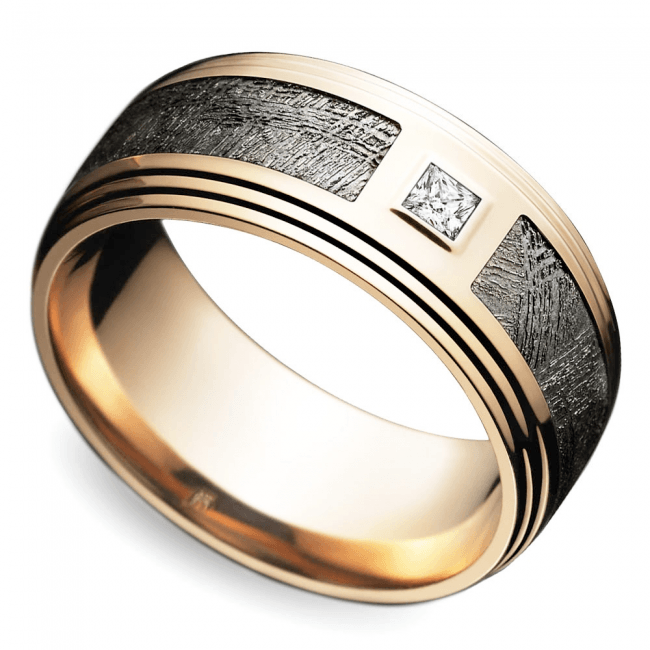 This ring features a meteorite inlay, which is one of the newest trends taking men’s diamond rings by storm. Gift this to the man in your life for a graduation or anniversary present so you can wish a lifetime of success and happiness. Of course, this is just the tip of the iceberg when it comes to the available styles for men’s diamond rings. 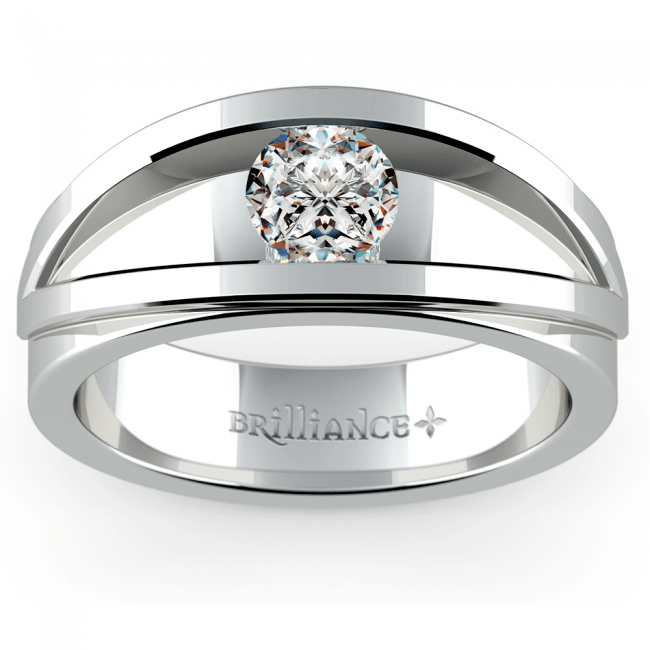 Head to Brilliance.com to explore the endless options and find one that speaks to your taste and personality!